This just past October saw another Tokyo headphone festival which I was happy to attend once again as a part of Head-fi Team Tokyo (Japan). Once again some of us met before hand, caught up and talked about various items and brands we were keen to check out at the show. I ended up checking out mainly DAPs this time which is a shift away from the usual DAC/amps I enjoy testing. Chord Hugo launch in the Chapel. Head-fier Currawong getting the goods on the new release. It is a little bit too digital for my ears, highs are a bit harsh although the sound was clear and absent of any muddiness. I didn`t like the sub bass as it came across as flabby at times. The weight of the unit is on the light side. 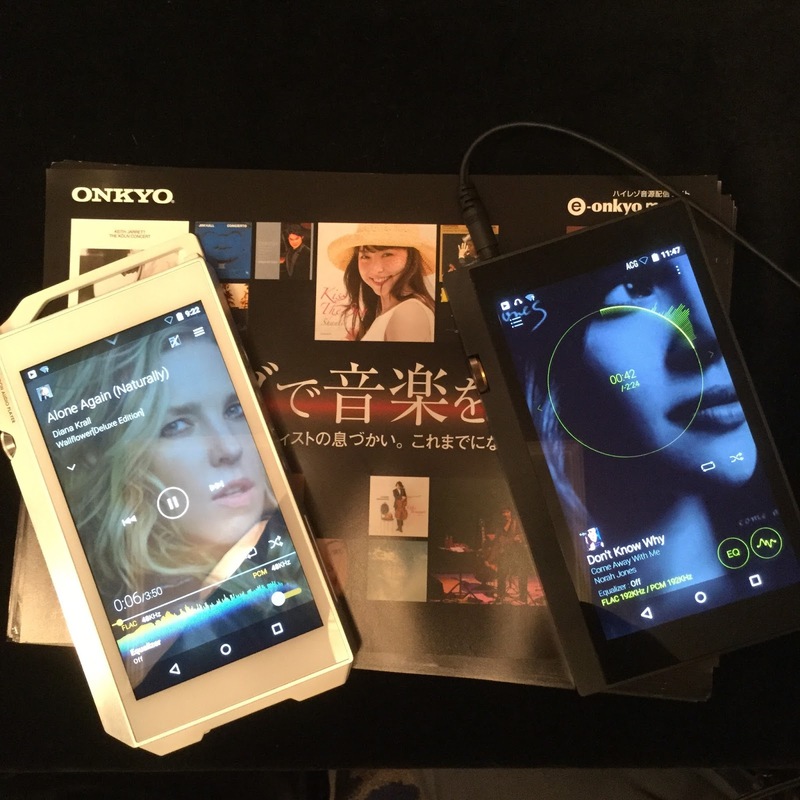 I first tried the Onkyo DP-X1 and found it a bit thin at times, but not found wanting, yet also lively. Definitely not a warm dap, more on the cold side aka analytical. The Pioneer XDP-100R is quite similar in sound signature. Great controls on the above two devices. Venturecraft have finally released a DAP after years of dac/amp releases. I found the sound to be full, clean and non-fatiguing. Very likeable. The weight of the unit is medium. I didn`t like the old style clunky UI though. Fiio X7. The unit I tested still had on the protective wrapping so when the staff said that I was the first to listen to it, they weren`t kidding. It had a great lush, warm sound without the muddiness of say the earlier X3, certainly I see listening to for extended periods wouldn`t be a problem. I absolutely loved the earlier renditions of the Continental series and always wanted to own one for myself with all their tubey goodness. This was the winner for me on the day out of the limited amount of gear I sampled. I loved the full, rich, lush, detailed sound and accuracy this unit produced.